One police officer has been killed and some 60 people injured as a result of a double terror attack in Makhachkala, the capital of the Republic of Dagestan in southern Russia. 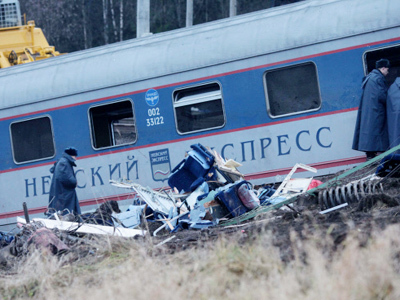 As a result of the special operation that followed the attacks, one militant has been killed, RIA Novosti cited a representative of the republic’s national counter-terrorism committee as saying. According to the source, there are no causalities or injuries among law enforcers. The operation was aimed at finding those responsible for the double attack that hit the republic on Thursday. 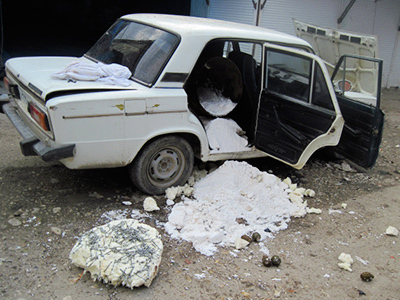 Two successive blasts hit the same area of Makhachkala overnight, within the space of about 15 minutes. The explosive device which caused the first explosion had reportedly been hidden in the pedestrian part of Ermoshkina Street in the city. After the first explosion went off, drawing crowds to the site, the second blast rocked the same area. The second explosion had the equivalent of about 35-40 kilograms of TNT and was much more powerful than the first one. The second explosive device, which was placed inside a parked car, contained metal fragments, aimed at causing injuries. As a result of the second blast, one traffic policeman was killed and over 60 people were injured, among them 44 policemen. The first action is believed to have been a trap for the police, who rushed to the scene and were caught by the second blast, said a source from local law enforcement. “Police have become the main target of the terror acts in the Caucasus now, as they are the symbol of the power the militants are fighting against,” said an RT source in Makhachkala. “Moreover, the officers patrolling the streets are the easiest target for an attack as they are not specially equipped troops ready for street guerrillas,” the source added. Some of the injured reportedly remain in local hospitals, three of them in a critical condition. Many received first aid and did not need any further assistance. “Two [of the injured] are now in intensive care. Their condition is serious but stable. We have already operated on them,” said Magomed Omarov, chief physician at the city’s Emergency Medical Center as cited by the Vesti TV channel. 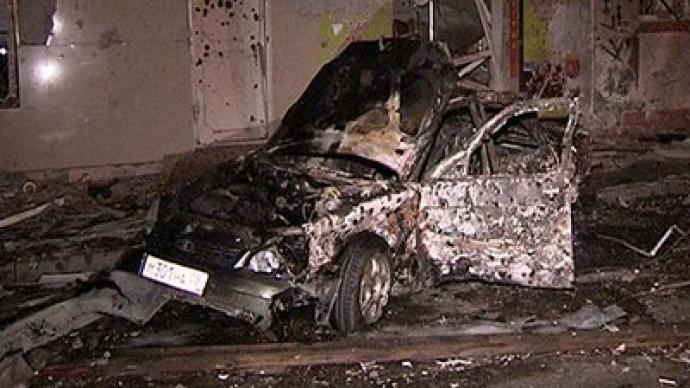 The double attack follows another one which occurred late on Wednesday in Makhachkala, when a car exploded near the office of the traffic police department. All four terrorists in the car reportedly died. According to the Investigative Committee, two of the four militants who died in the attack have been identified. The prosecution has already called Thursday’s actions a terrorist act, as published on the Investigative Committee’s website. A criminal case has been initiated on six articles of the Criminal Code, including committing an act of terror, illegal circulation of arms and weapon supplies, and attempted murder. Meanwhile, early on Thursday, a senior officer’s car came under heavy machine gun fire in the Buynaksk region of Dagestan. The local police department chief was heading to his office when the accident happened. Two of his guards were killed in the shootout, but the officer himself was not hurt. Earlier on Wednesday, two explosive devices were defused in the same Dagestan region. However the devices were planted on the roads outside cities and likely targeted military convoys. The head of the Republic of Dagestan has interrupted his business trip in Moscow and flown to Makhachkala as the situation in the region has deteriorated. However local residents do not find anything unusual in such blasts. “When a bomb blasts in one district, in the nearby parts of the city life goes on. It does not affect our ordinary life,” RT’s source said. 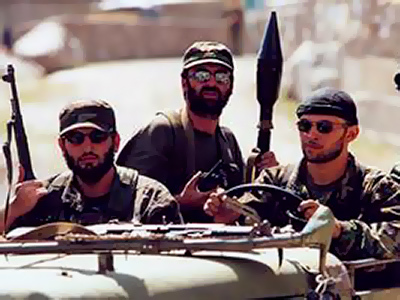 Attacks continue to plague Dagestan and the volatile North Caucasus region following years of fighting. Although major fighting has been quelled for the moment, local security forces still struggle to make the situation stable.